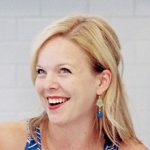 Menu planning is integral in keeping our daily lives (and my sanity) running smoothly. When I work long days, fight just under an hour of rush hour traffic and finally get home and into the kitchen, the last thing I want is to have to start figuring out what to make for dinner. That needs to be already decided. Well, last Monday, a couple of hiccups in the usual system meant that my planned meal wasn’t a possibility. I had little brain power left and started just throwing together whatever sounded good. By some stroke of luck, we ended up with a new favorite meal that takes minimal time and minimal effort. It is a weeknight wonder for sure, and the kids go crazy for it! I knew that I needed to remake it right away so I could share it here with all of you. Let’s break it down. 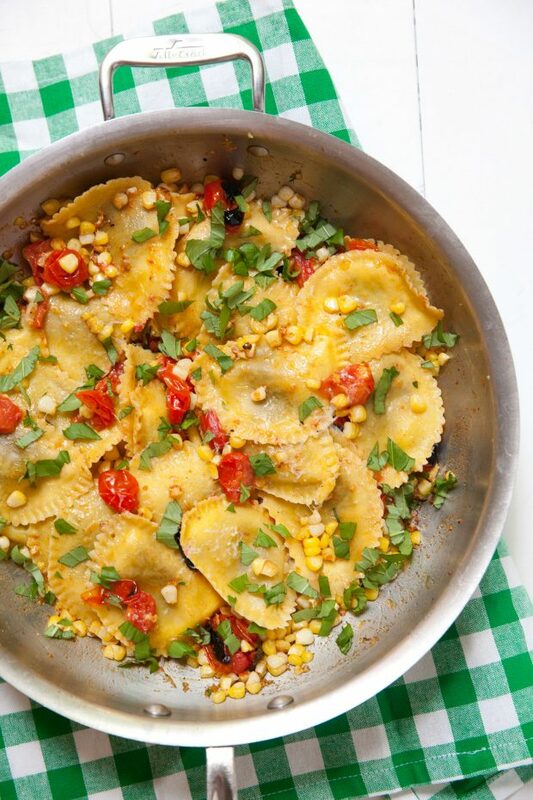 Basically you char some corn and cherry tomatoes under the broiler while the ravioli is cooking. Once the pasta is cooked and drained, the whole mess is tossed together back in the warm pan along with a paprika garlic compound butter and finished off with a generous dose of fresh basil. This is one of the best happy accidents since Caroline! (Totally kidding – she was planned.) Seriously though, this is a fantastically simple meal that highlights many of summer’s best flavors all in one place. What more could you really want on a hectic Monday evening? Heat the broiler and position an oven rack just underneath it on the highest setting. On a sheet pan lined with foil, combine the tomatoes and the corn. Drizzle lightly with olive oil, season with salt and pepper, and broil, rotating the pan once, until the corn and tomatoes are beginning to char (approximately 6-8 minutes, depending on your broiler.) Remove from the oven and set aside. Meanwhile, fill a large sauté pan with water and bring to a boil. Once boiling, add the ravioli and cook according to the package directions. Drain and set aside. While the ravioli is cooking, combine the butter, garlic, thyme, and paprika. Stir together until evenly blended. Season generously with salt and pepper. Once the ravioli is out of the pan, return the pan to medium-low heat. Add the compound butter to the pan and melt. 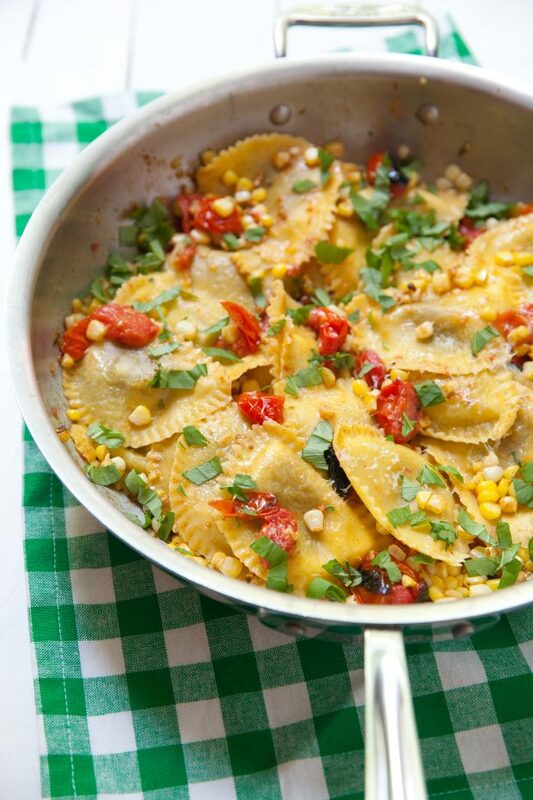 Return the ravioli to the pan along with the vegetables, the lemon juice and fresh basil. Toss together to combine. Remove from the heat. Serve warm with freshly grated Parmesan, if desired.